Eva recounts the events leading up to her son Kevin massacring several peers and one teacher in his school Gym via unanswered letters to her absent husband. The plot is openly aligned to the contemporary Columbine epidemic whilst retaining a uniqueness and originality. This is not historical fiction but a persistently unsettling exploration of society’s taboos. Shriver balances the reader’s submissive correspondence with a suspect narrator with the unapologetically unanswerable Nature vs. Nurture debate. The story suspends the reader on tenterhooks despite bearing a largely foregone conclusion and compels its audience to squirm with discomfort as effectively as Kevin himself. 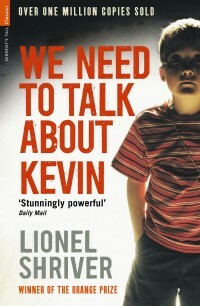 You are currently reading We Need to Talk About Kevin by Lionel Shriver Review at booksbeccabuys.